The fourth edition of the international spice conference (ISC 2019) held in Hyderabad. The conference is hosted by the All India Spices Exporters Forum (AISEF) which represents around 80% of spices export from India. Chief Minister Nara Chandrababu Naidu launched the second phase of Pasupu-Kumkuma (Turmeric-Kumkum) scheme and welfare pensions. Under the second phase of the scheme, women who are a part of Development of Women and Children in Rural Areas (DWCRA) will be given Rs 10,000 in three instalments. Commerce Minister, Suresh Prabhu addressed the first state-level awareness programme on agriculture export policy said that in order to achieve the purpose of the policy clusters have been identified across the country for the development of agriculture exports. Union Minister of Commerce & Industry and Civil Aviation, Suresh Prabhu, said that there is vast scope for cooperation between India and Monaco in several sectors including tourism. Addressing the Indo-Monaco Business Forum in New Delhi. Public sector Indian Bank said two regional rural banks (RRBs), Pallavan Grama Bank and Pandyan Grama Bank will be merged to form Tamil Nadu Grama Bank as per the Finance Ministry. The integration will be effective from April 1. 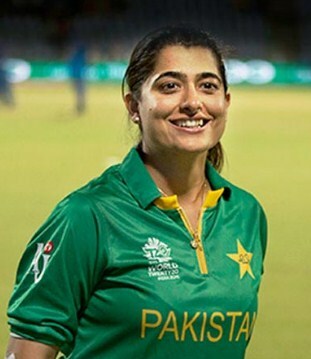 Former Pakistan women’s cricket team skipper Sana Mir became the first Asian woman cricketer to play 100 T20 international matches. Overall, Sana is the sixth woman cricketer to complete a century of T20 Internationals. Daendra Dottin of West Indies tops the list with a total of 109 T20Is to her name.